A little gift for blaxploitation fans, especially for those of you, who already dig all original soundtracks. Here goes a nice bunch of blax-covers – instrumental versions of all-time black hits. Cecil Holmes was an executive at Buddah Records as well as a recording artist himself. This was one of his solo releases. It was aimed at capitalizing on the huge popularity of Blaxploitatin movies during the time. Many of the songs seemed shortened, but still keep to the original arrangements. 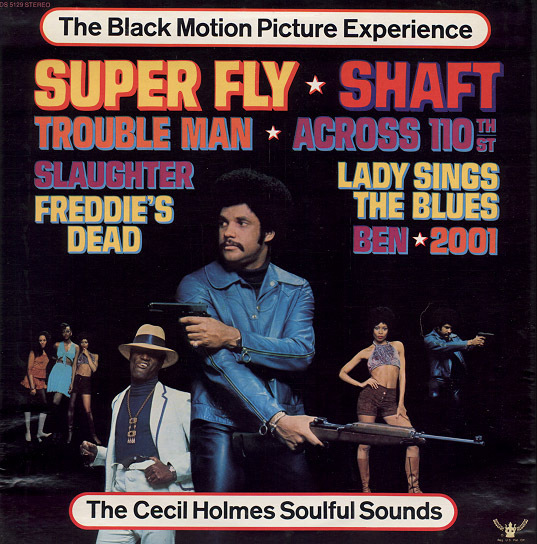 Holmes included most of the well known hits like Curtis Mayfield’s Superfly and Marvin Gaye’s Trouble Man/T Stands For Trouble. Also Sprach Zarathursta (2001) has a short but sweet open drum break.